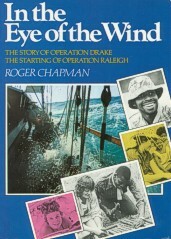 Reports written by the young Explorers about their experiences during Operation Drake in 1979-1980 with a forword by Prince Charles. Not really written about the flagship, the Eye of the Wind, the book anyway provides interesting information. Available from the Scientific Exploration Society or Amazon.